With: Richard Burgon MP // Shami Chakrabarti // Chris Williamson MP // Lucy Anderson MEP // Liam Young – writer // Lara McNeil – Labour NEC Youth representative // Steve Turner – Unite the Union // Christine Blower – international secretary, NEU(NUT section) // Shelly Asquith - People's Assembly Against Austerity // Danielle Tiplady - nurse & NHS campaigner // Siân Errington - Labour Assembly Against Austerity // Murad Qureshi - Stop the War Coalition // Hugh Lanning – Palestine Solidarity Campaign // Laura Morales – Justice Mexico Now // Maz Saleem - Stand Up to Trump // Jenny Manson – Jewish Voice for Labour // Huda Elmi – Momentum NCG member & BAME Labour activist // Mike Jackson – Lesbians & Gays Support the Miners (LGSM) & more special guests to be confirmed. Featuring: #JC4PM rally // Q&As // Seminars & workshops // Social media hub & training // Films // Book Launches & ‘meet the author’ events plus much more. 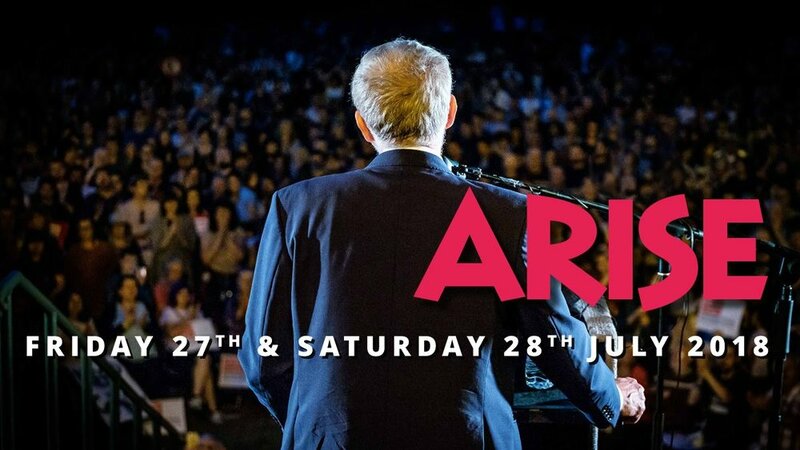 Join us for a weekend of people powered politics, internationalism and solidarity, discussing Labour's left ideas to change society for the better. Lets come together to build on the vision and energy of Labour’s Manifesto, and win a Britain and world for the many, not the few. This could be a march of millions. 4% of the population - or around 2 million people have said that they would “definitely” take part in protests against the visit. Resistance against academisation has never gone away, but recent months have seen a sharp increase across the country in the number of strikes and campaigns against academisation and a renewed mood to bring all schools that have converted back under local democratic control. With the idea of a National Education Service under a future Labour government, the issue of academisation must take centre stage. We face an entrenched ‘education ruling class’ who have power and control over vast swathes of the education system. It will take a huge social movement of staff, parents and students to shift them. This event, with speakers and workshops, will focus on why we must resist academisation and how we do that. 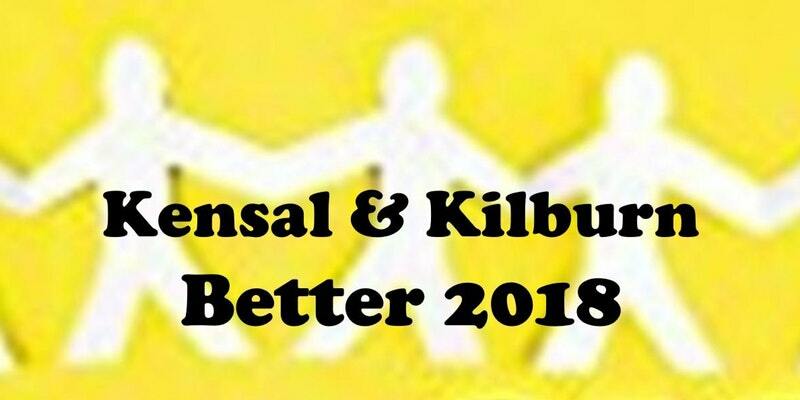 There will be speakers from campaigns against academisation and from leading figures in education and the opportunity, through workshops, to share ideas and strategies. Come along and support the Annual Orgreave Rally organised by the Orgreave Truth and Justice Campaign, commemorating the 34th anniversary of the events at Orgreave. RED WAVE TALKS brings together individuals, groups, businesses and organisations who want to break taboos and create a climate where #menstruationmatters.The event features a series of short talks from inspiration women speakers, with conversations, information and treats. Today we annually celebrate this symbolic event through a cultural festival of music, arts, political discussion and ideas during the anniversary of the events of 1831. What better way could there be of marking the day of a royal wedding than attending a Labour for a Republic meeting followed by a Republic Convention! Public Ownership: what would it look and feel like? This Day School is organised by Independent Working Class Education Network, with Barry Faulkner, national political education coordinator forUnite the Union, and features Ellen Lees from "We Own It. "Saturday 19th May, 2018, 10.30 - 3.30. UnitetheUnion, 128 Theobald's Road, Holborn, London (nearest tube, Holborn, WC1X 8TN) £5.00 - pay on the day - includes a modest lunch. Annually at the TUC Congress house, we have an Irish History Month event in order to commemorate the History of Irish immigrants to Britain of the last few centuries. In 2018, it will be 100 years since we have our first Woman MP owing to the success of the Suffragettes who achieved the Votes for Women. This Sinn Fein MP was Constance Gore-Booth (Countess Markievisc) and refused to take her seat. We will have a speaker on this topic. Secondly, it will be 130 years since the "Match Girls Strike" as teenage girls of Irish heritage achieved all their demands since they withdrew their labour for three days in 1888. Mary Doolin, Senior PCS Union Full Time Officer, will be speaking on the history of Irish Women in the British Trade Union movement. Lastly, it will be 150 years since the last public hanging in Britain: an Irish man called Michael Barrett, who was innocent of the Clerkenwell Prison explosions of which took place on 20th May 1868. We are pleased to announce the first dates of #Justice4Marc, a national speaking tour sponsored by Labour Against the Witchhunt, Jewish Voice for Labour, the Labour Representation Committee and Grassroots Black Left. With: Laura Pidcock MP // Cat Smith MP // Maya Goodfellow, writer & journalist // Shelly Asquith, People's Assembly Against Austerity & more special guests to be confirmed. 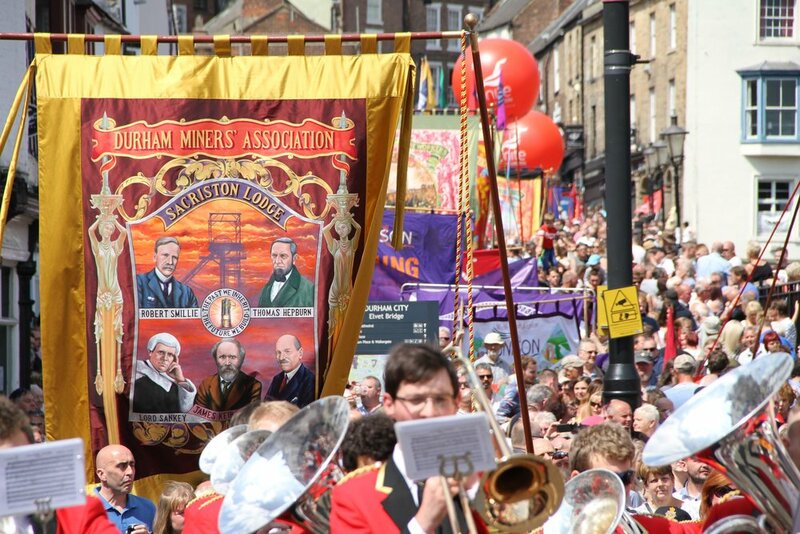 A public meeting to help build support for the TUC march for "a new deal for working people" on May 12 and to help explain Labour's alternative to Tory austerity. What should and what could a Corbyn government do? 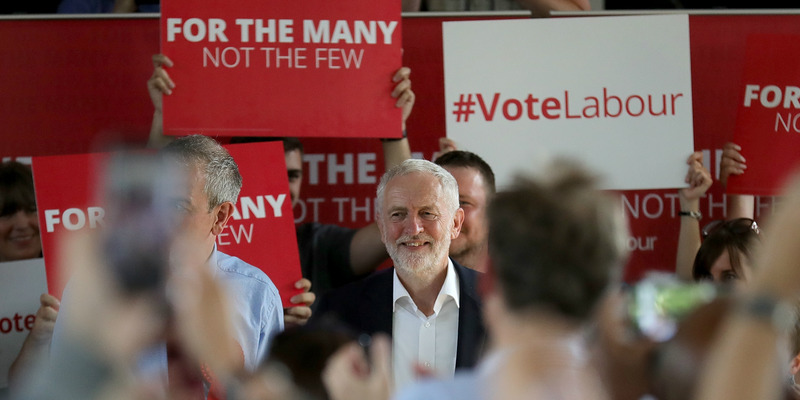 Jeremy Corbyn's Labour party could well win the next General Election - whenever it comes. Are Labour's policies “mainstream European social democratic” or more "radical" or "extreme" than that? And will a Corbyn government in practice be able to achieve what it wants given the implacable opposition of rich and powerful interest groups:- the press barons, the City and others? What is Labour doing to prepare for these challenges? We are delighted to host a discussion with three people with great insight into the Corbyn project. There will be plenty of time for questions and contributions from the audience. On 30 March 2018, Land day, peaceful Palestinian protestors were fired at with live bullets by Israeli snipers that killed 17 people and injured over 1500. Join us this coming Saturday to call for an end to the siege of Gaza and ask UK government to condemn Israel's actions. When: Saturday 7 April, from 1pm - 3pm. Organised by Friends of Al-Aqsa, Palestine Solidarity Campaign, Palestinian Forum in Britain. Supported by Stop the War and EuroPal. 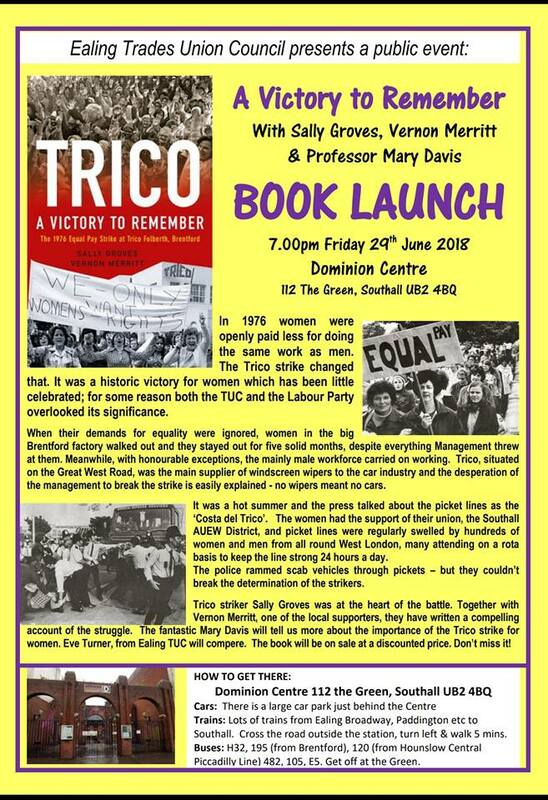 Book launch and discussion with Peter Purton, author of Champions of Equality and Jane Connor, Lesbian and Gay Support the Miners. Peter Purton was the TUC’s first LGBT officer. His book, of interest to everyone interested in equality and trade union history, reveals how LGBTtrade union members organised to win recognition, then support, and how trade unions supported the struggles of LGBT communities in Britain and across the world. This is an inspiring tale, and in the dangerous world of the twenty-first century, it is a warning call to the LGBT community and those supporting it, to wake up to new threats, to remember how past victories were achieved. The labour movement has much potential as an active participant in the unfinished fight for equality, but this book shows the need for mutual engagement to make change possible. Champions of Equality: Trade unions and LGBT rights in Britain, by Peter Purton, Lawrence & Wishart, London. Demonstrations are already being planned by the broad-based Stop Trump Coalition, which involves more than 40 campaigning organisations, a dozen MPs, the TUC, 13 individual trade unions, academics, journalists and others. Public Meeting and AGM on Saturday 10th March, Unite The Union 128 Theobalds Road, London WC1X 8TN at 1 pm. Modern science is showing this was the world which made us human. Our Palaeolithic heritage enabled us to invent music, language, art, religion – pretty much everything that matters. Patriarchy is not natural and hasn't always been there. It arose recently in the life of our species, with the increase of inequalities in the Old World about 5,000 years ago. Patriarchy is a cancer on the body of humankind and the surface of the earth. Since humans created it, humans can decide to get rid of it. Donald Trump is threatening to visit London later this year. Let’s give him the welcome he deserves! If you can’t roar from central London, ROAR from wherever you are. Let’s synchronise our roars! The Crown Prince of Saudi Arabia, Mohammad Bin Salman has been invited to visit the UK. He has led the Saudi bombing of Yemen, which the UN has condemned as causing a "humanitarian catastrophe." UK-made weapons are being used in Saudi Arabia's devastating bombing in Yemen, and the government continues to license further arms exports – despite overwhelming evidence of repeated breaches of international humanitarian law. Mohammad Bin Salman's visit sends the message that arms sales are more important than Yemeni lives. This is not okay. Parliament must hold the government to account. Please take two minutes to email your MP and ask them to speak out against Mohammad Bin Salman's visit and the ongoing arms sales. 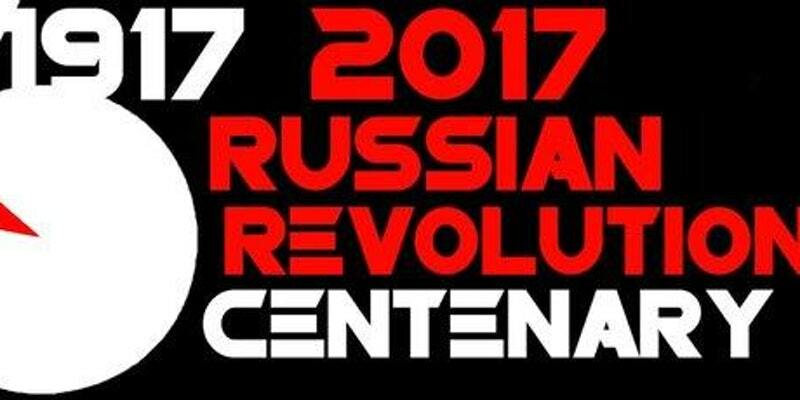 Celebrate the 100th anniversary of the Russian October Revolution. 2.00pm - 6.00pm. Free to attend, all welcome.